From women-only beaches, to train carriages, clubs, and even hotels, spaces specifically catered to women are not unheard of. Most of these places, however, are attributed to the need to “protect” women from ill-intentioned men or due to religious and political reasons supporting the segregation. But unlike the mentioned, there is a market in Asia fully run by women, not birthed from fear or necessity, but from a place of strength and independence! 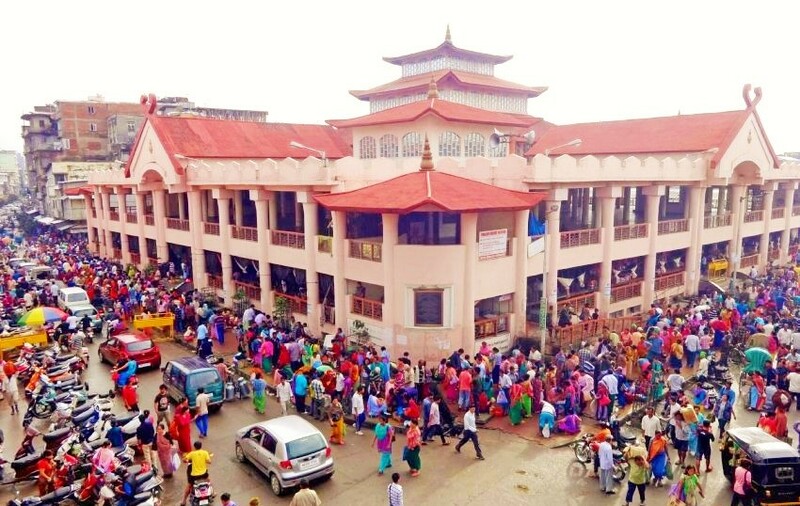 Located in the capital of Imphal in Manipur, the bustling Ima Keithel stands consisting of about 4,000 stalls tended by women. Ima Keithel, which is translated to Mother’s Market in English, is greatly respected in India because of its community. The Market is divided into four parts: the southeastern corner, northeastern corner, southwestern corner, and northwestern corner where metals, rice, fish, and paddy are sold respectively. Fabrics are also sold in a section in the market. Each of these sections were once under specific clans and headed by the senior woman of each clan. This system has evolved into nominating just one secretariat who mans the market, through carrying out elections. 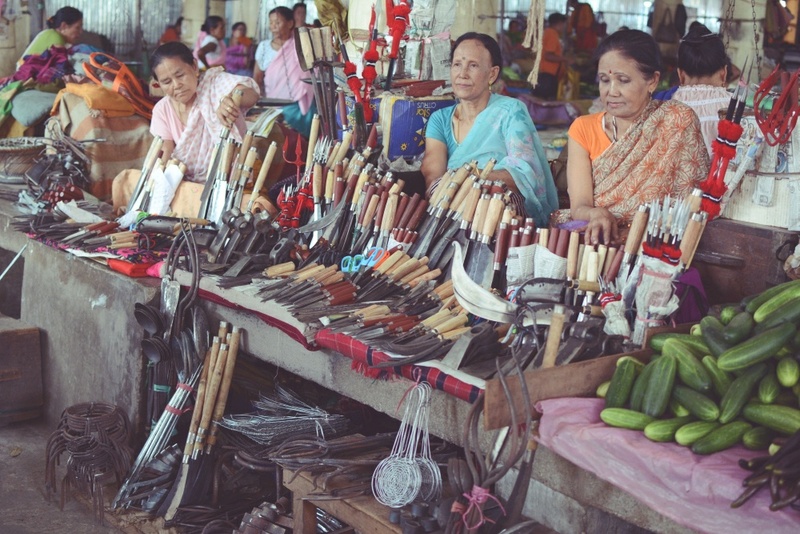 Most of the items found in the market are locally made, and upon visiting, you will realise that the market sells all daily essentials like utensils, food, et cetera. 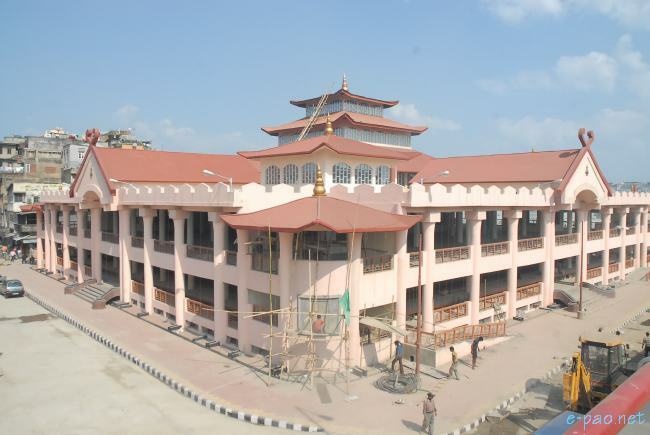 The main attraction is the section featuring handicrafts and traditional textiles sold by the women. But unlike commonplace markets, Ima Keithel has a long history of persistence and relations with social movements in Asia, having had to fight their way to establishment. Read on to find out more about how and why this market and its women are so iconic! Ima Keithel is said to have been founded in 1533 AD. During that time, there was something called Lallup-Kaba, a key factor in the birth of Ima Keithel. Lallup-Kaba was an ancient form of human exploitation. It played a crucial role in the development of Ima Keithel where male labourers were deployed to work in faraway paddy fields, leaving the women behind in the villages. The women then took responsibility to cultivate their own crops, weave textiles, and create other products that were sold in makeshift markets to support their households. This is how markets like Ima Keithel were born. Such markets were crucial for sustenance during wars that occured in the region, where men had to leave their homes again to fight for the country. When the British Empire conquered Manipur in 1891, violence ensued over the control of Manipur. Amidst all the chaos brought about by the incessant conflict with new waves of invaders, the women continued to keep control of the local economy. The British administration, however, started to impose economic and political reforms that adversely affected local trades, like increased taxation on water and the exportation of locally farmed rice to other countries. These reforms were aggressively opposed by the women of Manipur in a conflict called Nupi Lan (Women’s War). During the period of Nupi Lan, the women organised meetings and rallies to demand for the local Maharaja (Great Ruler in Sanskrit) to make changes to the economic policies. 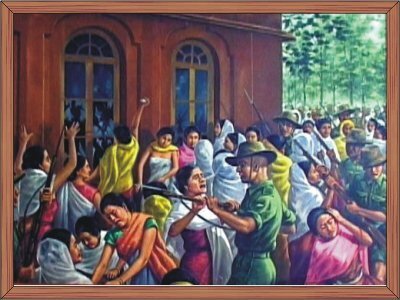 At one point, the women even occupied the Presidential building in Imphal, demanding the presence of the Maharaja. Heightened tensions left many women wounded. The British also attempted to sell off the market’s sheds to foreigners, but the women never budged. The market was a sacred place for them built upon a foundation of relationships, politics, family, and identity. Nupi Lan is a monumental social movement in Manipur, and an even greater representation of the women and how they never step down in the face of adversity. The conflicts gradually simmered down and stopped once the Second World War occurred. But in 1949, India emerged victorious over British colonialism and once again occupied Manipur. With a new administration, Ima Keithel was threatened by not just altered policies of the Indian government, but militarisation as well. Though not unlike previous troubles, the women continued to resist the changes imposed by the Indian government and eventually succeeded in holding their ground. As a result, Ima Keithel continues to thrive today. Due to modern developments and armed conflict, Ima Keithel continues to face new challenges. The women are constantly resisting the abuse of soldiers due to Manipur being a highly militarised zone which is caused by armed conflicts between government personnel and civilians. They are also against governmental policies that promote international trade agreements, as this is believed to have a negative impact on their revenue. In 2003, the local government decided to embark on a huge project to construct a supermarket complex on the site of Ima Keithel, without consulting the vendors. This construction project would mean that the old market would be replaced by the new complex. Over a hundred years down, the women had to fight a new set of challenges to protect their community again. They found out about the meetings that the government officials were holding and protested fiercely at each meeting. They also stayed in the market from dawn to dusk in efforts to protect their sheds. The past few years have involved consistent opposition by the community against the construction of the complex. The women have expressed their greatest fear in letters to the government — that during the process of relocation into the new complex, they will lose their sheds due to the corrupted government officials who are selling licenses and sheds to people not belonging to the Ima Kheitel community. This practice could lead to the destruction of the community and greatly increase unemployment. Descending from a long line of determined women, the Ima Keithel community never gave up and is not planning to do so. They are creating new methods to resist such as forming local and regional alliances. They have received support from local organisations, students’ movements, and human rights groups who believe in defending the market for justice and preservation of cultural identity. Unlike before, they are no longer standing alone. Instead, they are gaining strength in numbers. Together with their allies, they will continue to fight for women’s rights and justice, as the women of Ima Keithel remain a symbol of strength and persistence.